Seriously, check your phone’s contact list for UIDAI and you’ll be surprised to know that the contact you never created, exists. We are living in some strange times. On one hand, India is on the verge of getting personal data protection laws and on the other hand, the country’s unique identification system for citizens - Aadhaar - is wreaking havoc on people’s privacy and data. Just a few days after TRAI Chairman RS Sharma’s Aadhaar challenge was defeated by hundreds of hackers who gained access to his personal information thanks to a bold tweet by him stating his Aadhaar number, a new creepy incident is shocking Indians across the board today. If you thought you knew all the contacts stored on your phone and we were to tell you that you didn’t, you would probably laugh it off in disbelief. However, it is true that a contact has creeped into your phonebook, without your explicit consent or knowledge. If you search your phone’s contacts list, you will be surprised to find that UIDAI, the statutory authority behind Aadhaar, is now amongst your contacts. We didn’t believe this at first as well, but known ethical hacker and security expert Elliot Alderson A.K.A @fs0c131y tweeted out the information last evening, only for everyone we know (including us) to wake up and realise it’s actually true. Just try searching for UIDAI on your phone’s contacts list. In some cases, Android and iOS users are seeing multiple instances of the same contact in their list. "Many people, with different providers, with and without an #Aadhaar card, with and without the mAadhaar app installed, noticed that your phone number is predefined in their contact list by default without their knowledge. Can you explain why?" the French security expert tweeted. So far, we have noticed the UIDAI contact stored on phones like iPhone 8, iPhone 8 Plus, Asus Zenfone 5z, OnePlus 6, Huawei Nova 3, and almost all other phones we have here at work, and we have a lot of them! Also, the occurrence seems to be across network providers, including Airtel, Vodafone, and Reliance Jio. 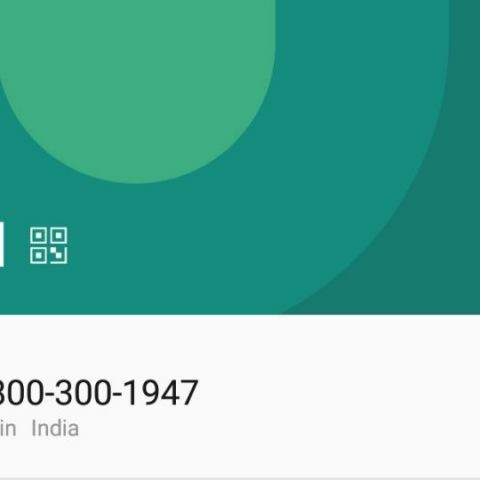 The most logical explanation is that network providers are pushing this UIDAI helpline number to devices. However, none of the telecom service providers have responded acknowledging the practice and as we said before, UIDAI has denied instructing service providers to add this number to the default SIM contacts for all subscribers. Another absurdity we noticed is that the number appears on some smartphones that have been factory-reset and then setup without a SIM card or any kind of account login. We tried this on a reset Mi Max 2 unit and the phone was setup from scratch without a SIM card or internet or any other user account info. The UIDAI number was one of the two contacts available on the reset device, a “Distress Number” being the second one. Which is your first phone? Whens your next PC build?